Our phone lines are open 10am to 4pm Monday to Friday. Outside of these hours you can leave a voice message with your telephone number and we will call you back as soon as possible on the next working day. Tickets can be paid for by credit or debit card, or reserved for up to three days to allow time for a cheque or KHH gift voucher to be sent. Please make cheques payable to Kilworth House Theatre. Call us on 01858 881939. A maximum of nineteen tickets for any one performance may be booked online. For bookings of twenty tickets or more please call our Box Office on 01858 881939 for further details. Your tickets will be posted on the next working day after you make your booking. Alternatively, if you order your tickets over the phone, your tickets can be held for you at the ticket office situated at the entrance to the theatre for collection from 1.5hrs prior to the start of the performance, or collected from Kilworth House Hotel Reception between the hours of 10.00am and 4.00pm. Each booking is subject to £3 administration charge regardless of the number of tickets purchased. The theatre has excellent viewing sightlines so all seats are the same price, per performance, regardless of location. Prices vary by performance dates and times only. All seats must be paid for in advance. 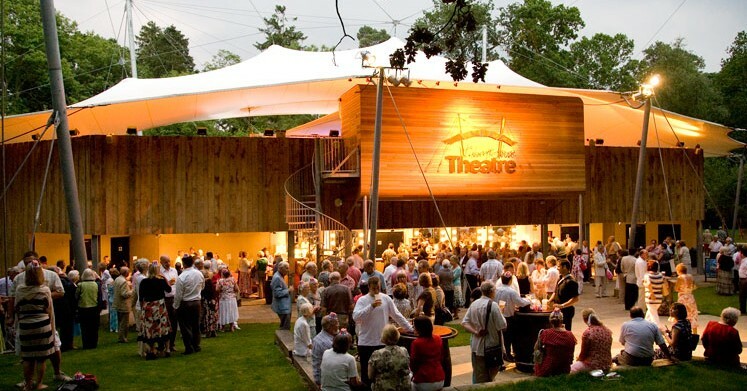 In common with general theatre practice, tickets for Kilworth House Theatre cannot be exchanged, cancelled or money refunded once payment has been made. If guests are unable to use their tickets, the Box Office will endeavour to resell them on the understanding that the sale of the theatre’s own available seats takes priority. A fee of 20% will be charged for a successful resale.